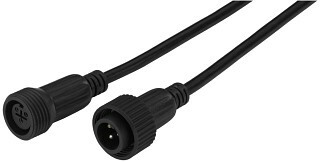 Enlarge Mains cable, suitable for STA-3000 in 4 Ω or 8 Ω operation. 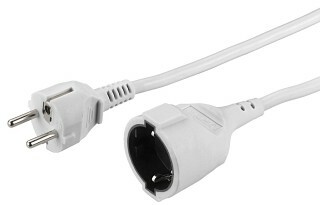 Cable specification: H05VV-F3G x 1.5 mm2, 3,600 VA max. 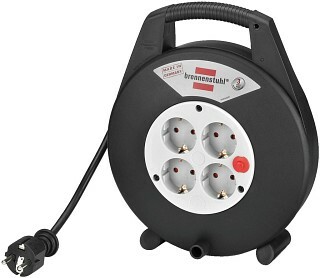 Enlarge Cable reel, with 10 m mains cable. 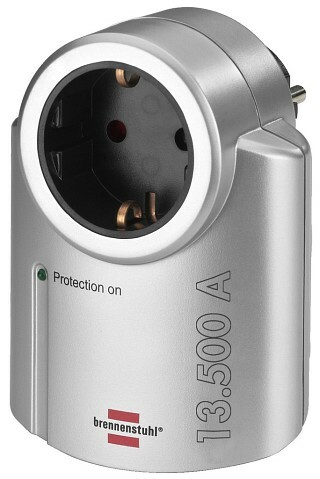 Enlarge Surge protector, for the effective protection of PCs, hi-fi units, TVs and video recorders against damage or data loss that are caused by lightning or mains surge. 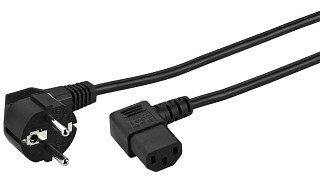 Connected load: 230 V /50 Hz/3,680 VA max. 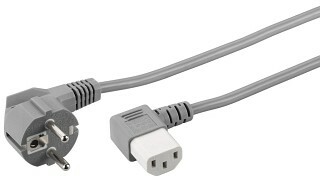 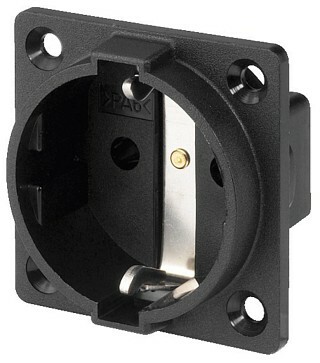 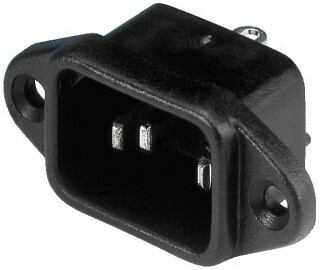 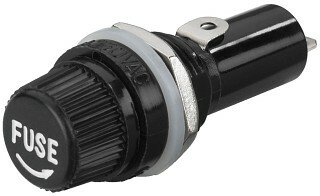 "Sensational: a 3-pin IEC cable with latching device - suitable for any standard 3-pin IEC jack." 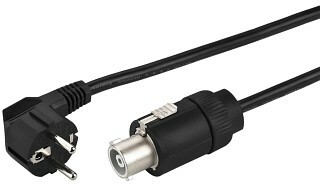 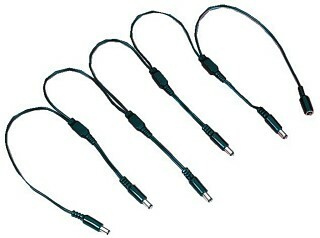 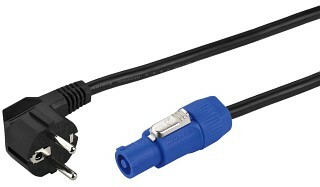 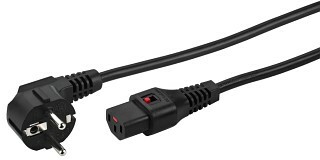 Enlarge Special feed-through cable, for supplying 5 effect units for musicians from one DC voltage source, with 5 x 2.1 mm low-voltage connectors and 1 x 5.5. mm inline jack. Length: 90 cm. 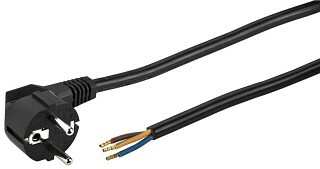 Enlarge Mains extension cable, IP67, suitable for LED spotlights ODP-361RGB, ODP-483RGBW and LED DMX light effect panel RGBL-222DMX.